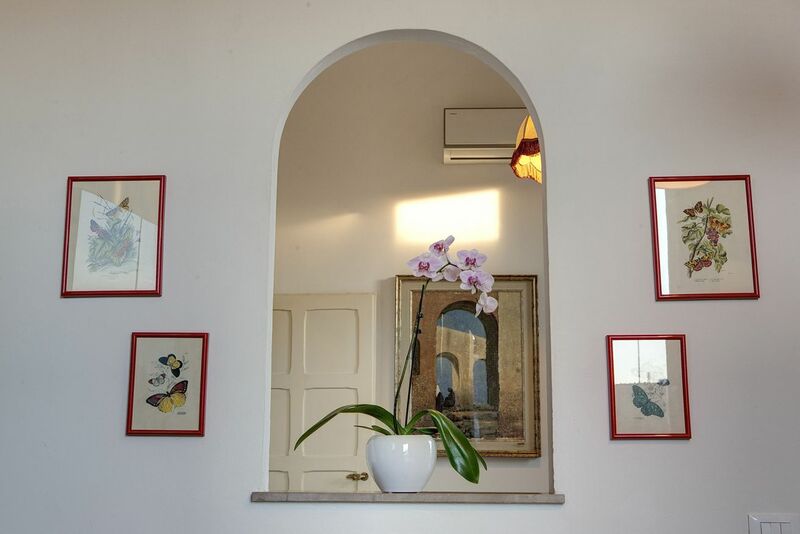 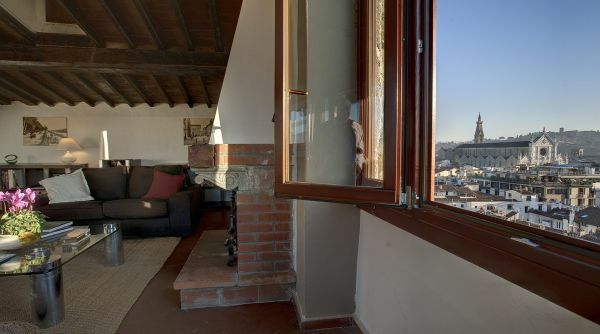 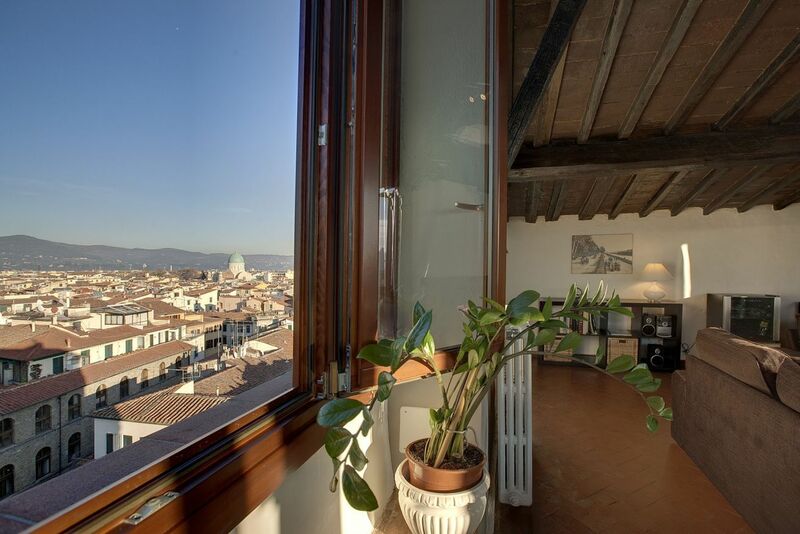 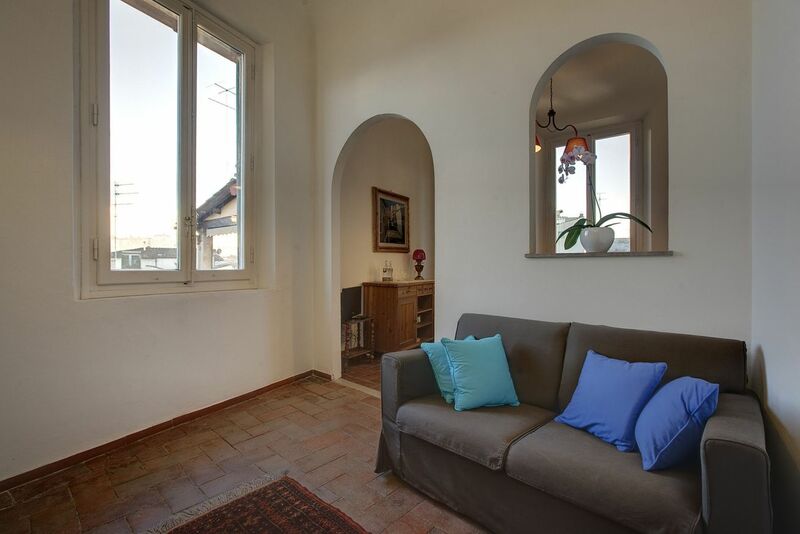 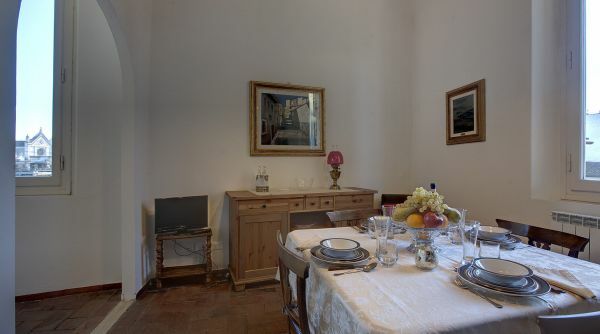 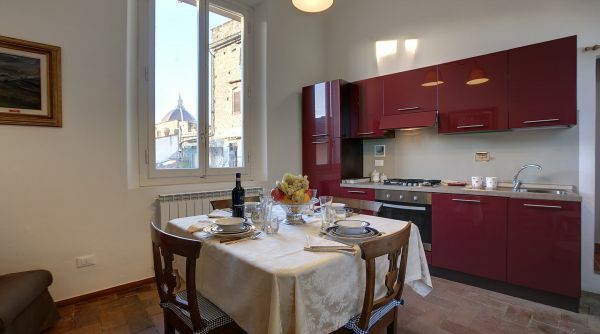 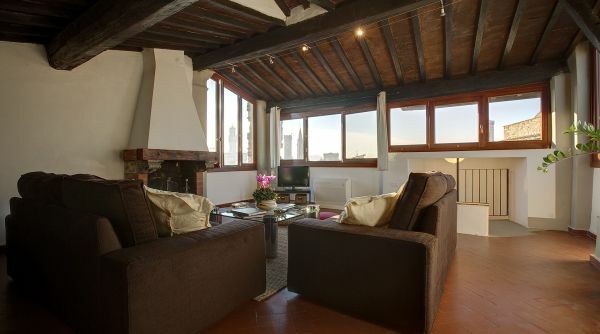 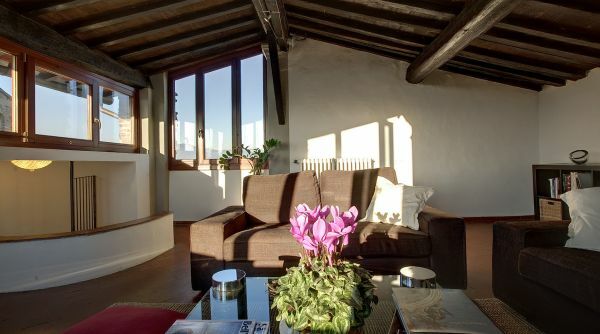 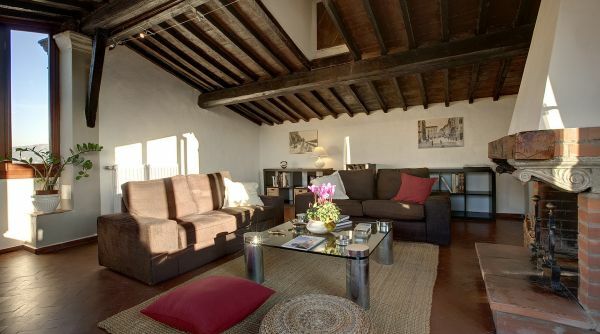 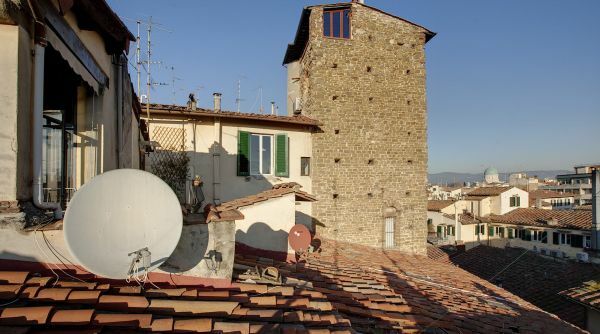 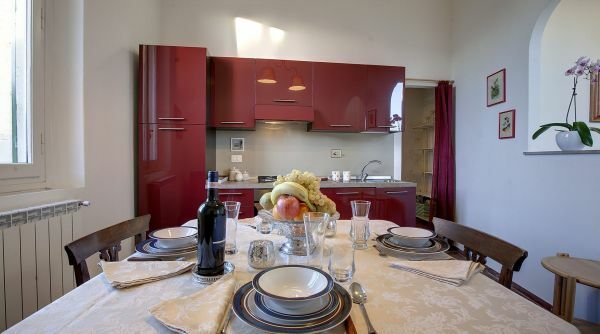 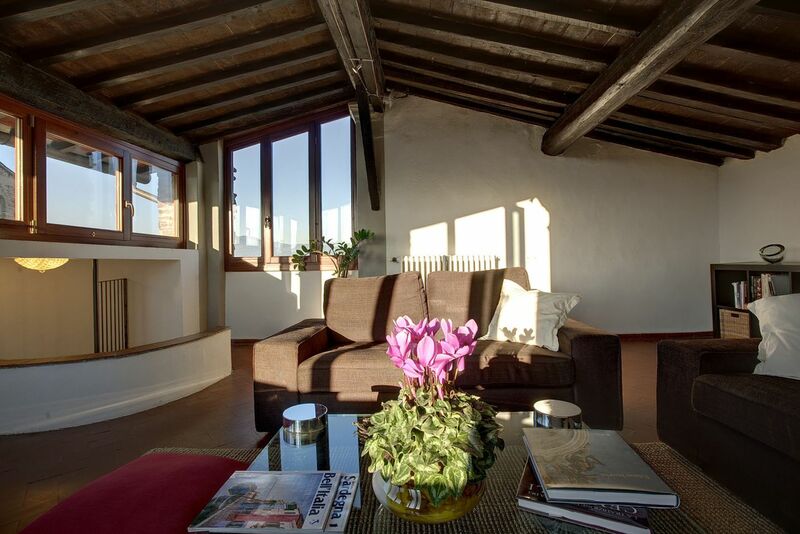 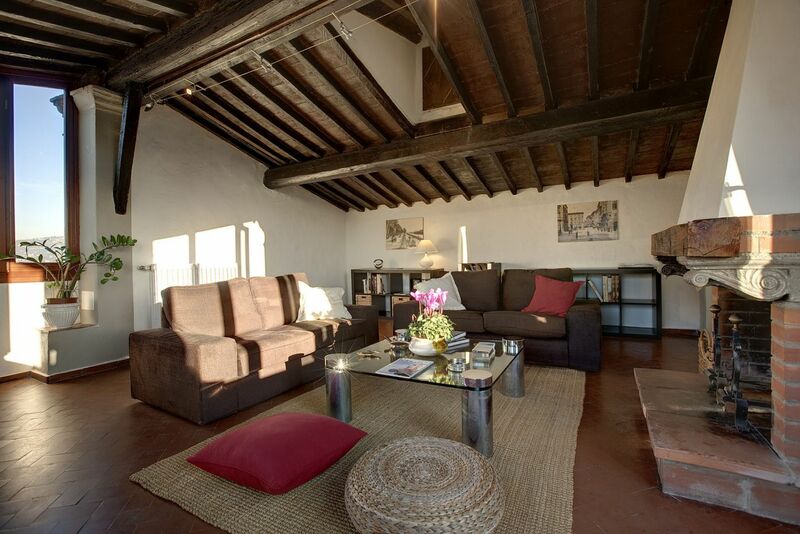 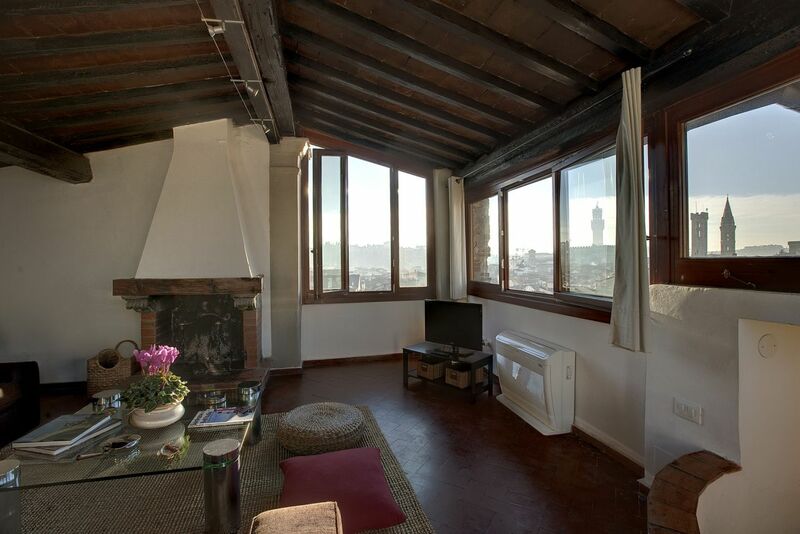 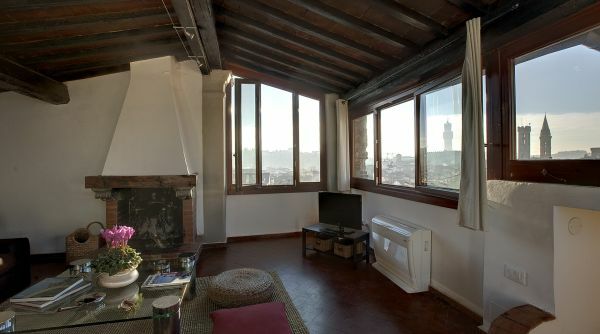 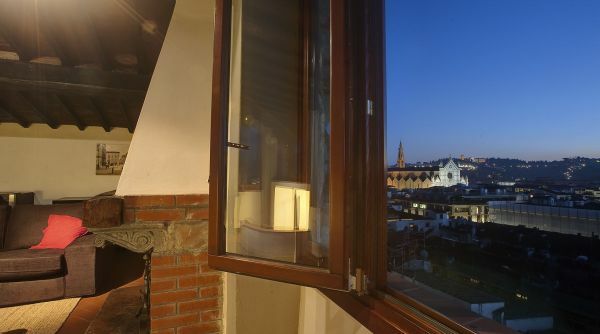 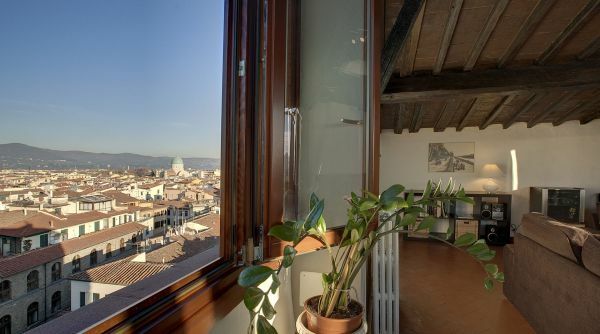 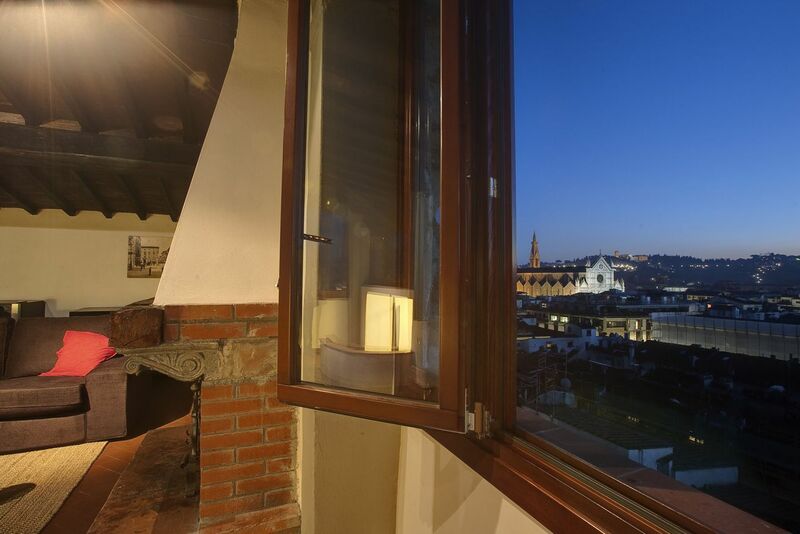 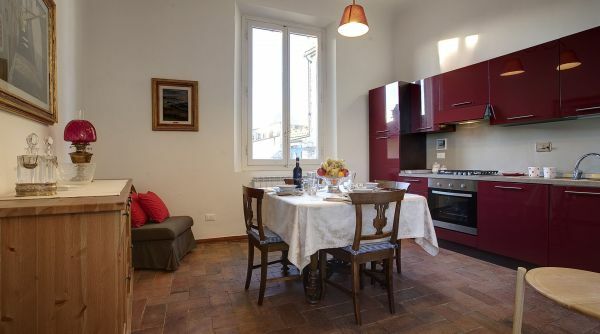 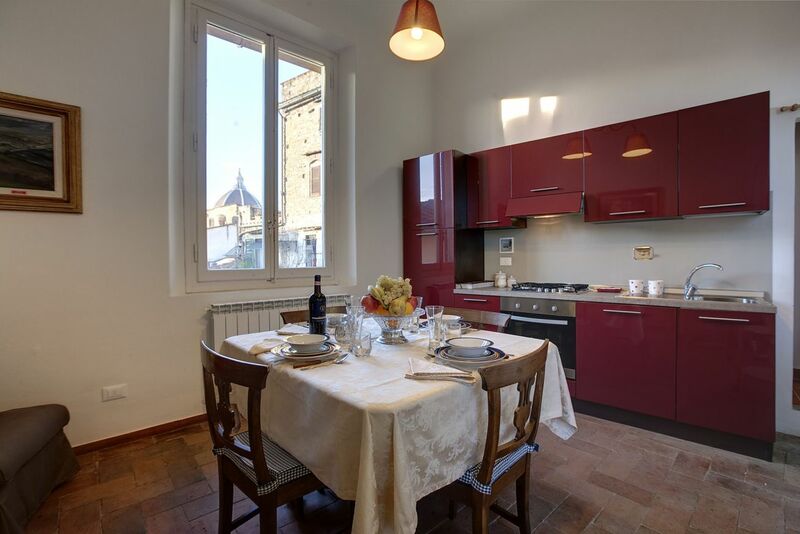 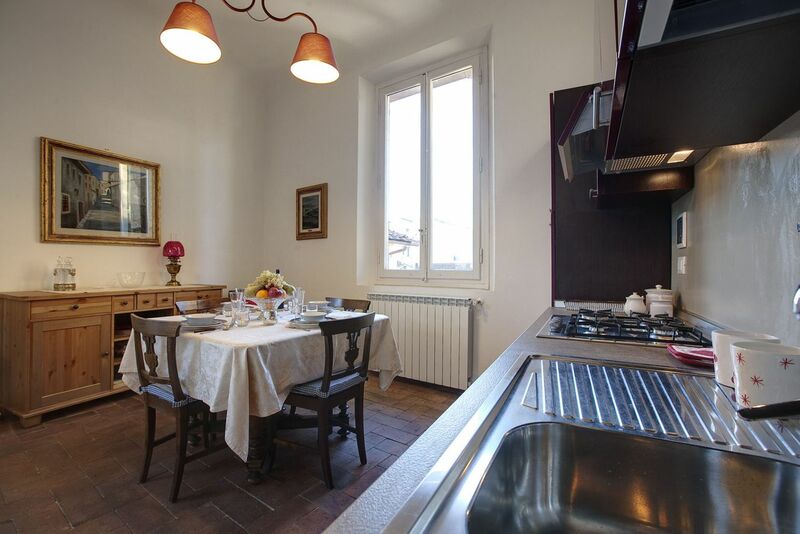 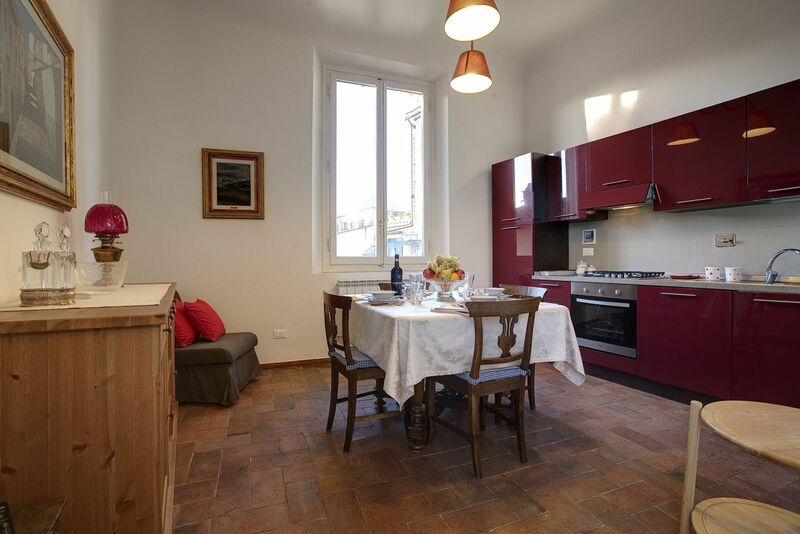 Characteristic apartment with a breath-taking panoramic view of Florence. 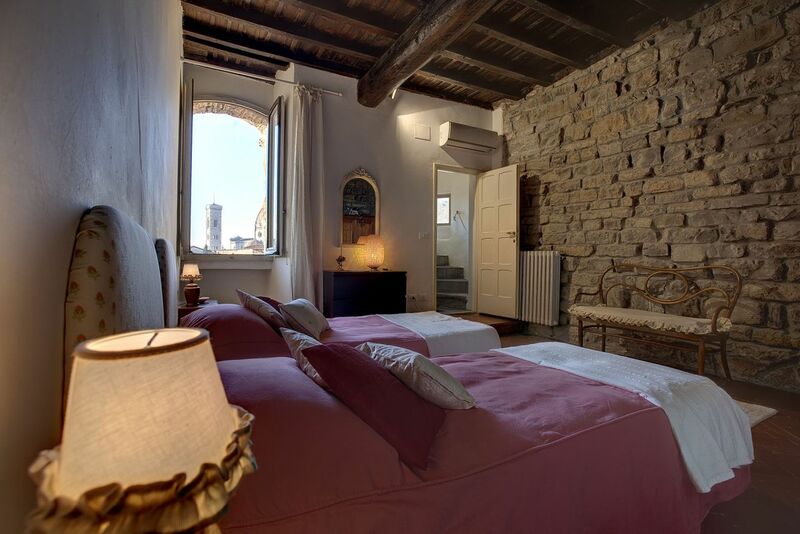 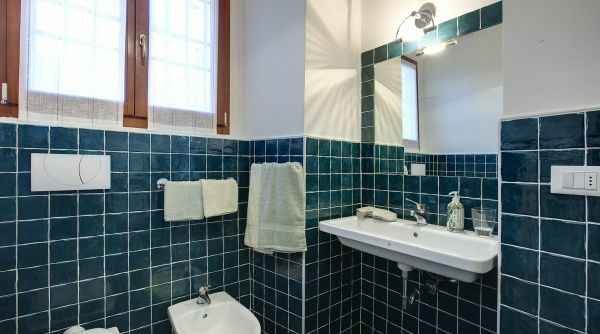 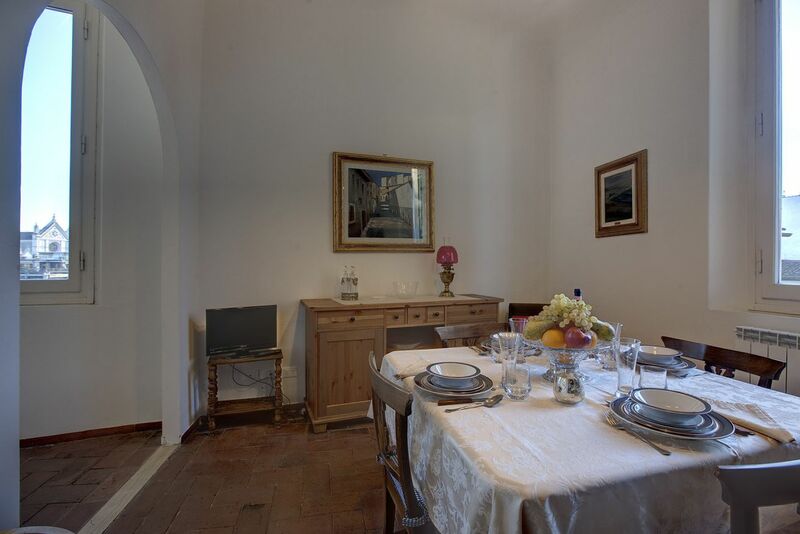 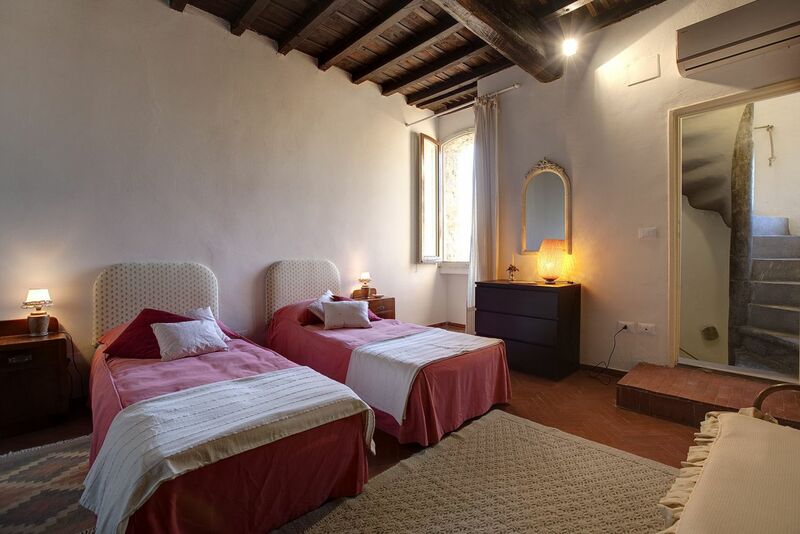 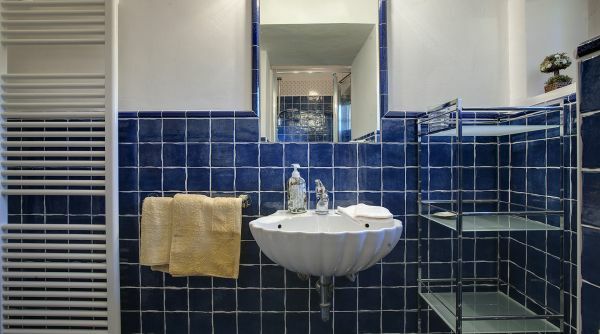 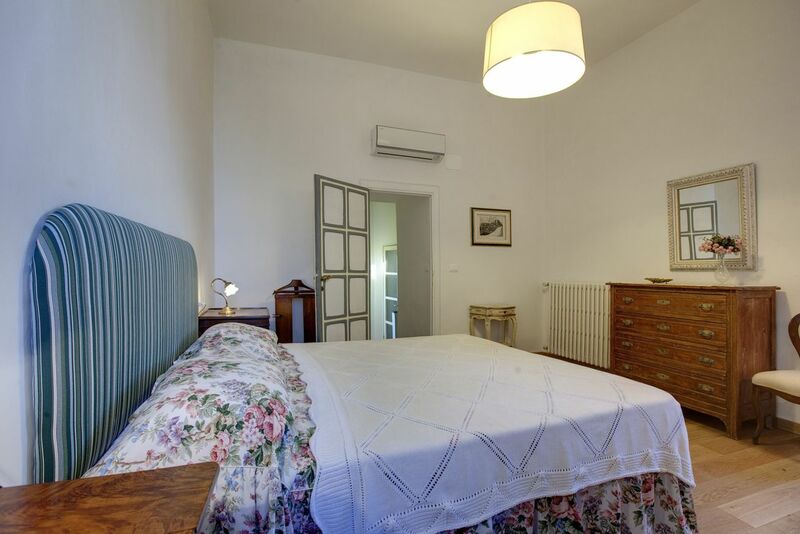 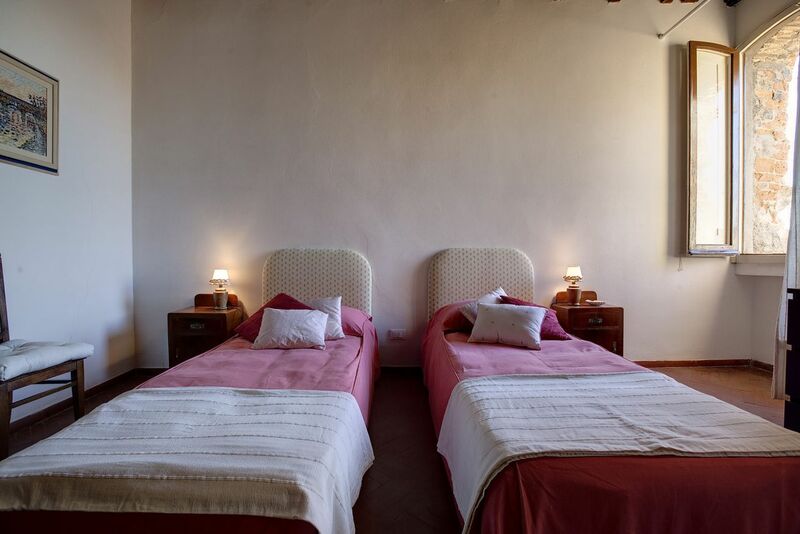 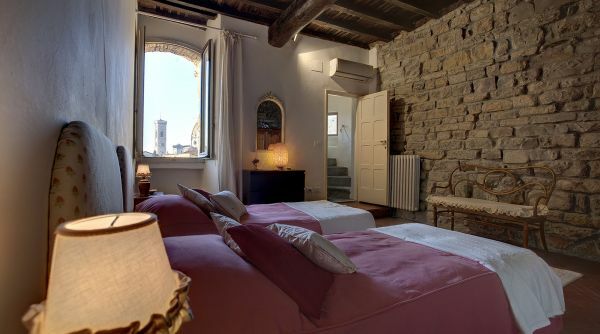 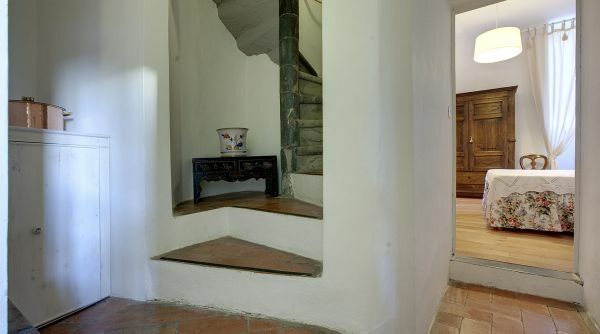 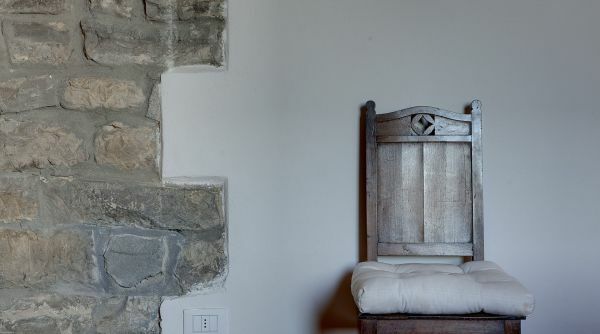 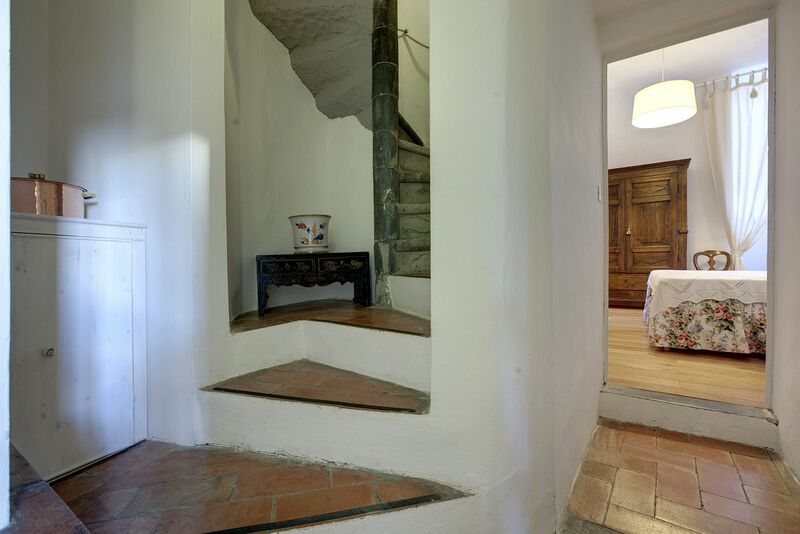 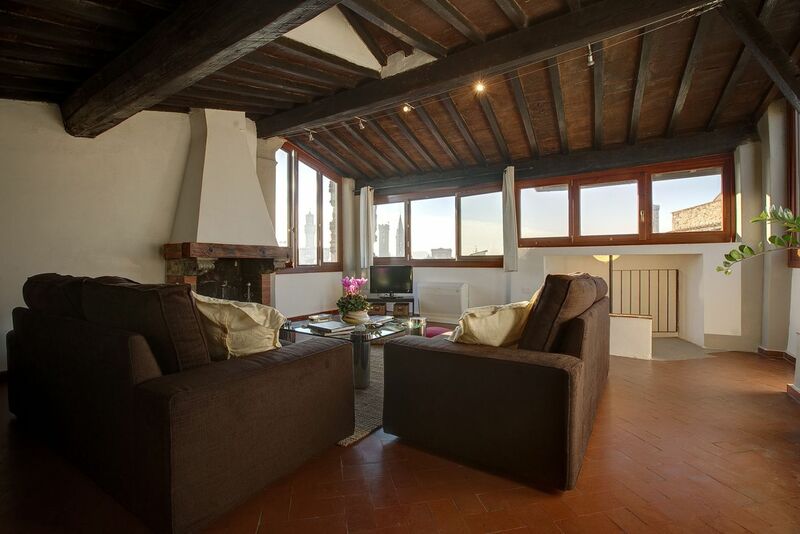 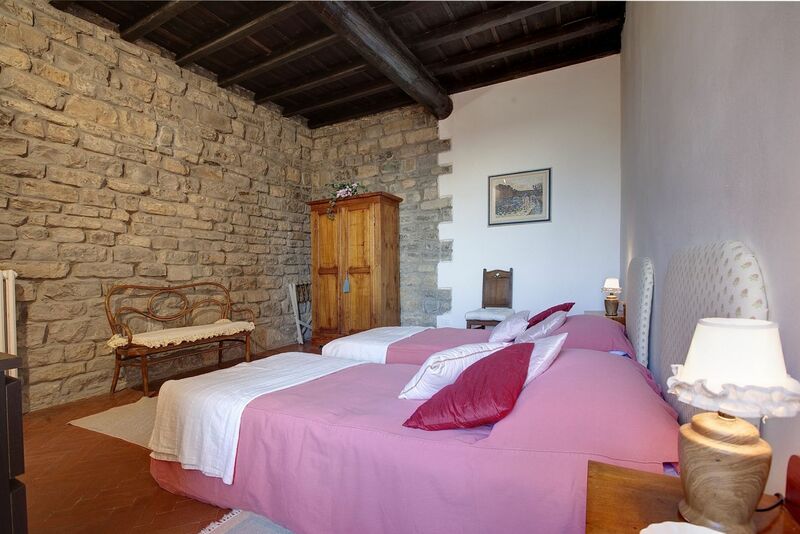 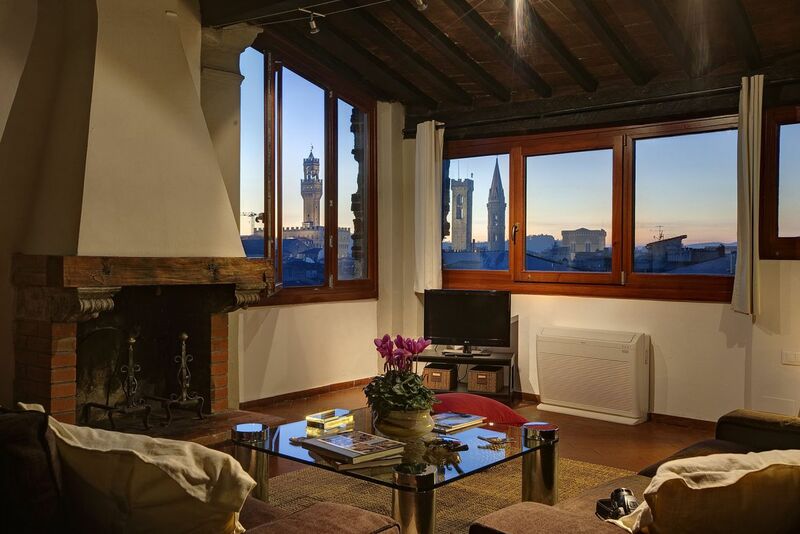 Situated on the fourth floor, without elevator, of a splendid medieval tower located into the heart of the Santa Croce neighborhood. 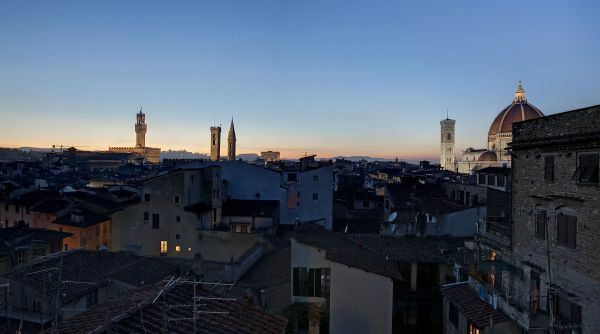 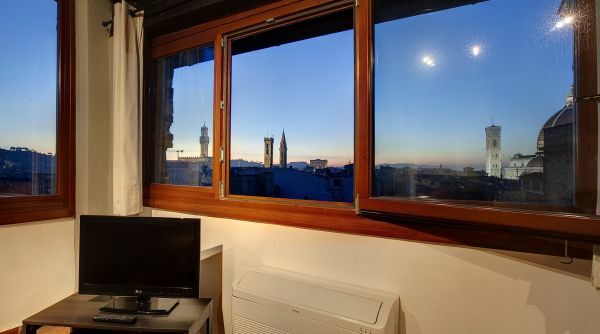 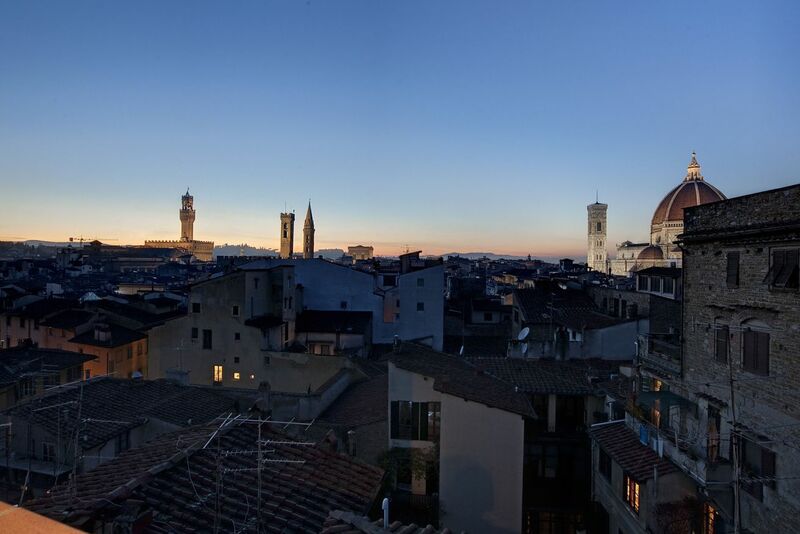 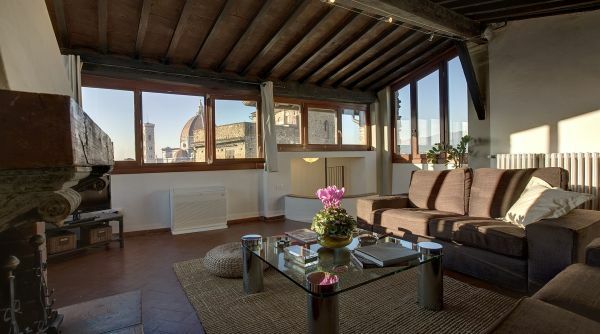 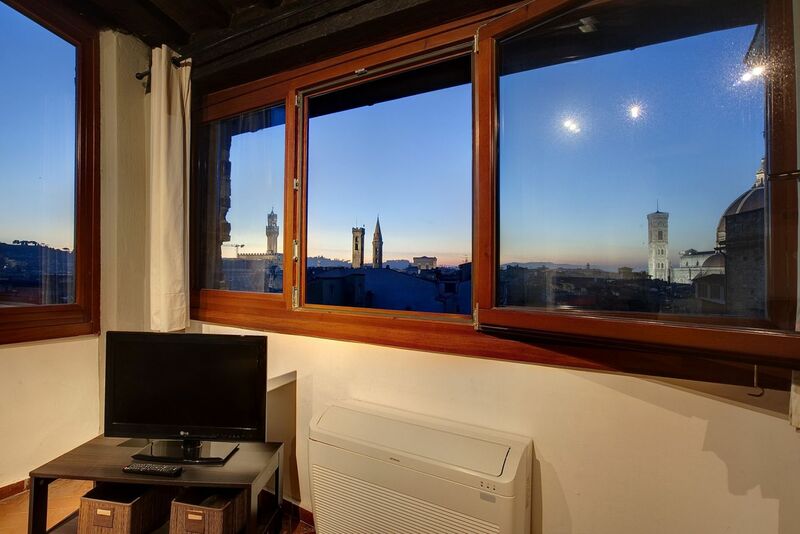 From its ample windows guests can admire many of the most spectacular Florentine monuments including the Duomo, Palazzo Vecchio and the Cathedral of Santa Croce: a truly memorable view! 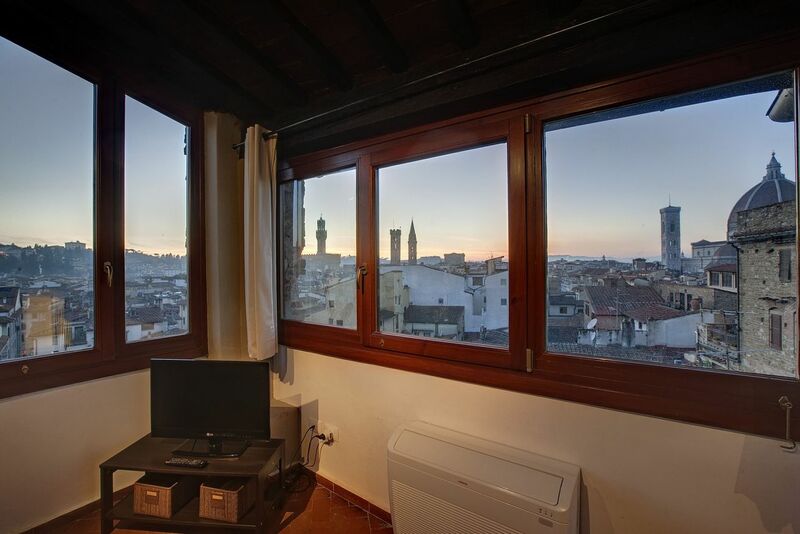 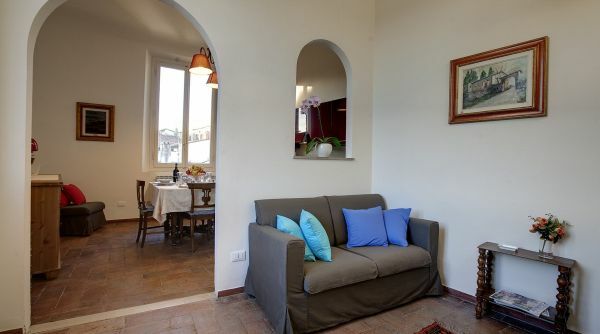 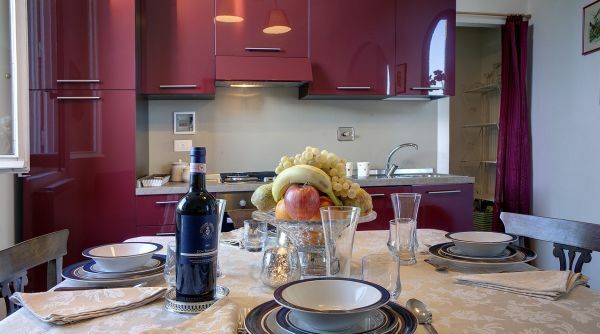 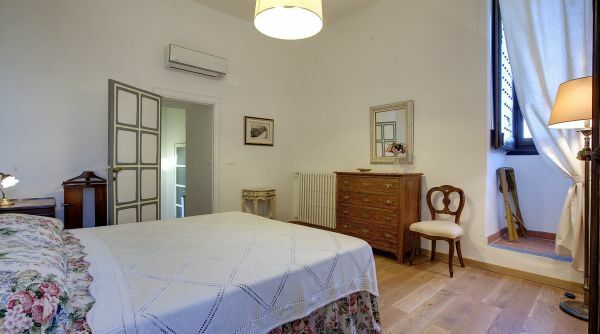 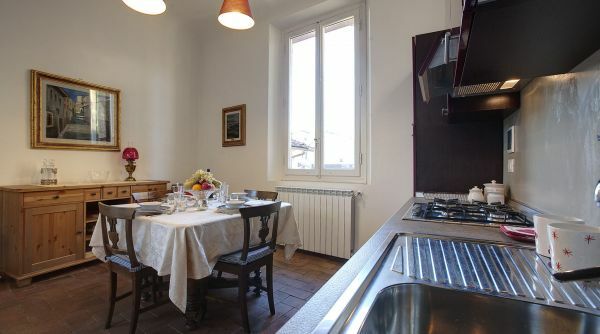 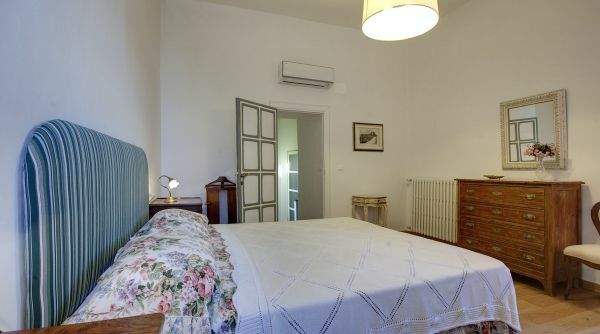 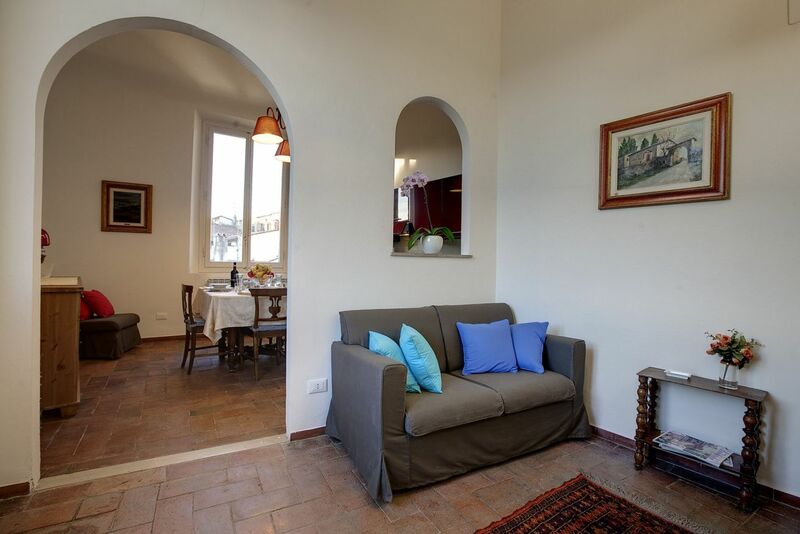 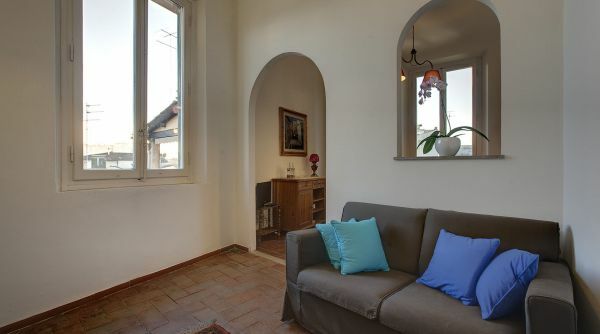 The house can comfortably accommodate up to 5 people and is composed of two bedrooms (one with a double bed, one with two single beds and a single sofa bed), two full bathrooms with shower, a roomy kitchen with dining table and a comfortable living room with windows that guarantee a fabulous view over the city of Florence. 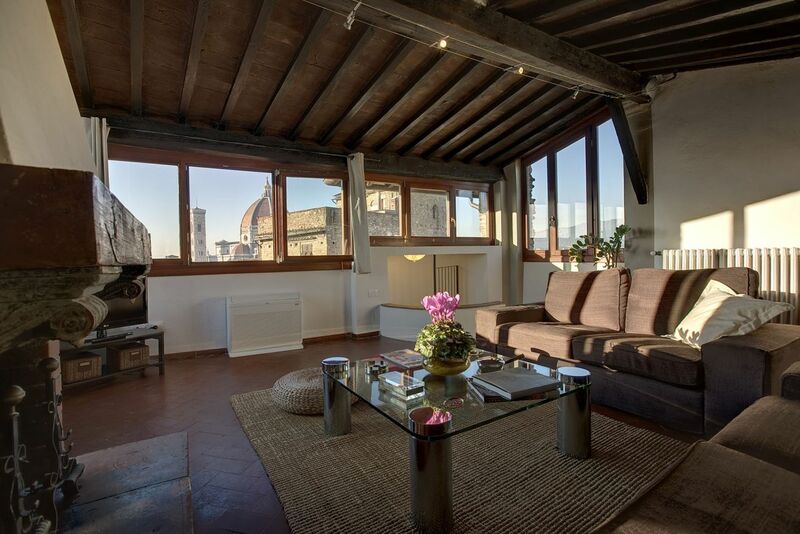 Fully equipped with air conditioning and Wi-Fi, Torre Donati is ideal if you are looking an extraordinary home in Florence. 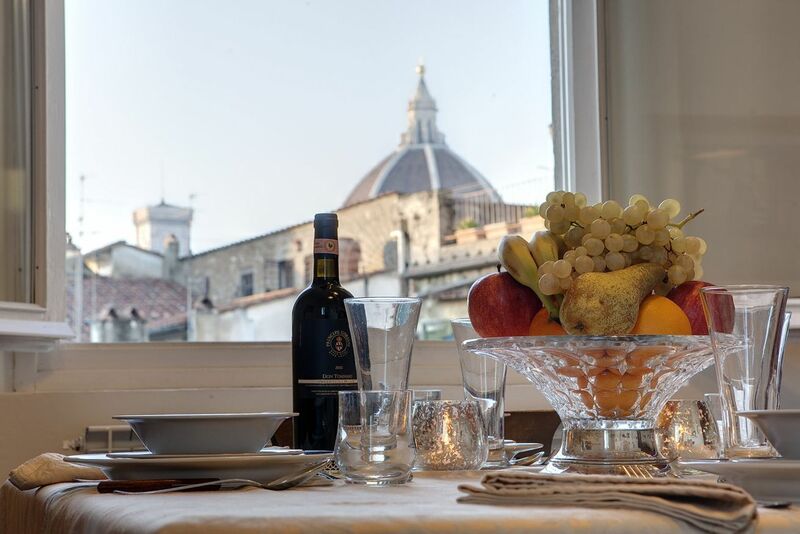 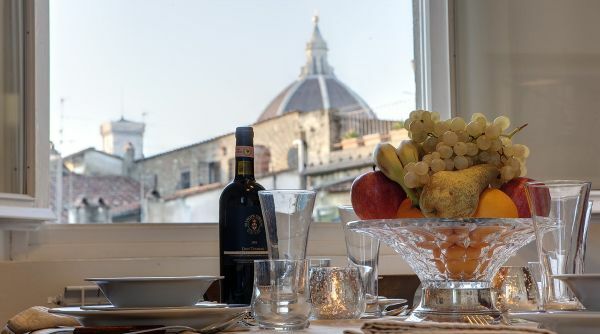 Are you looking to make spectacular memories during your time in Florence? 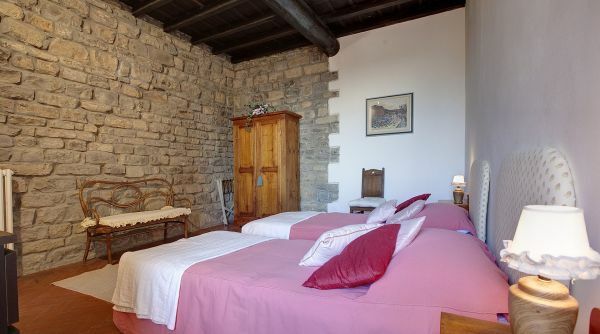 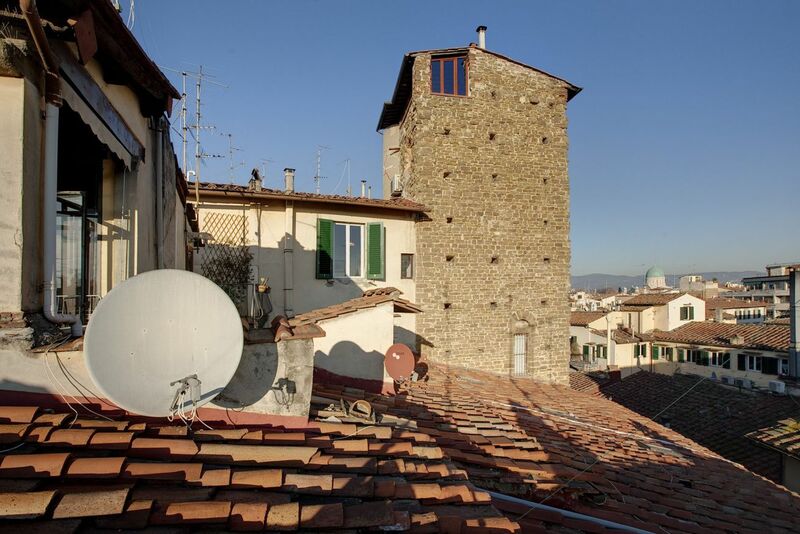 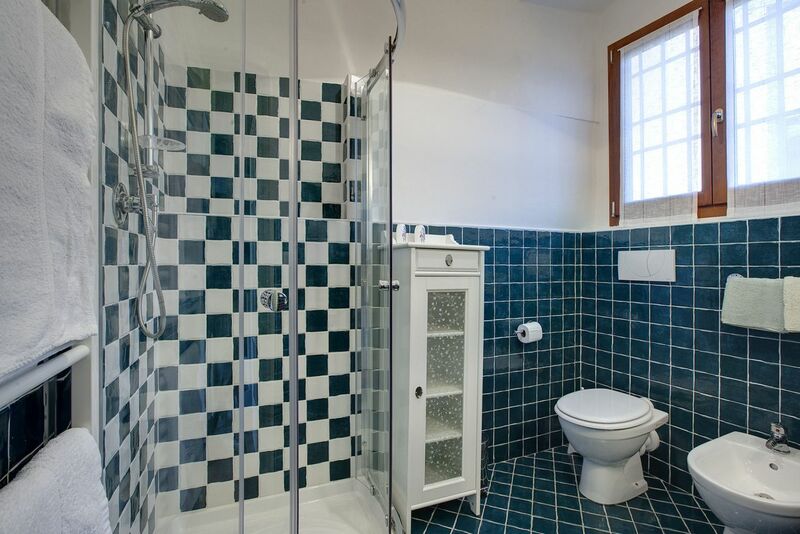 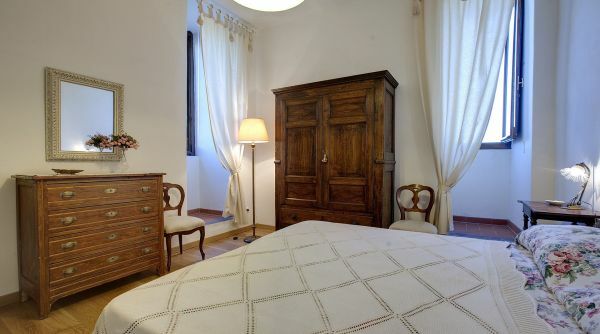 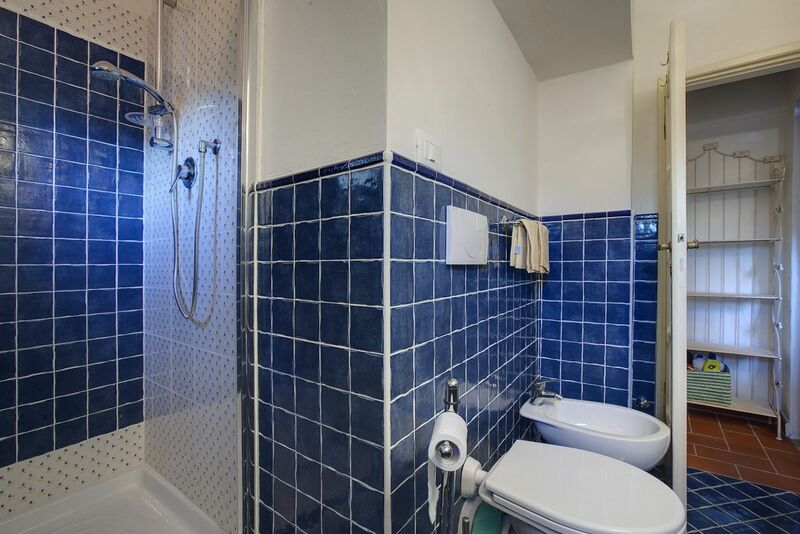 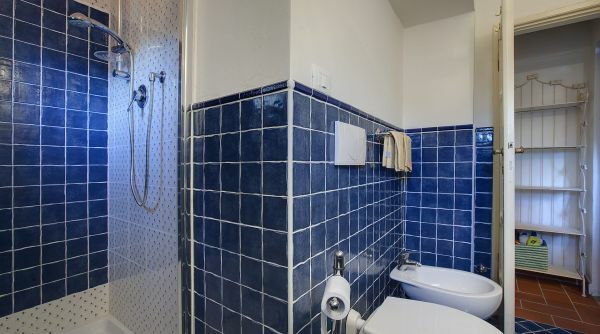 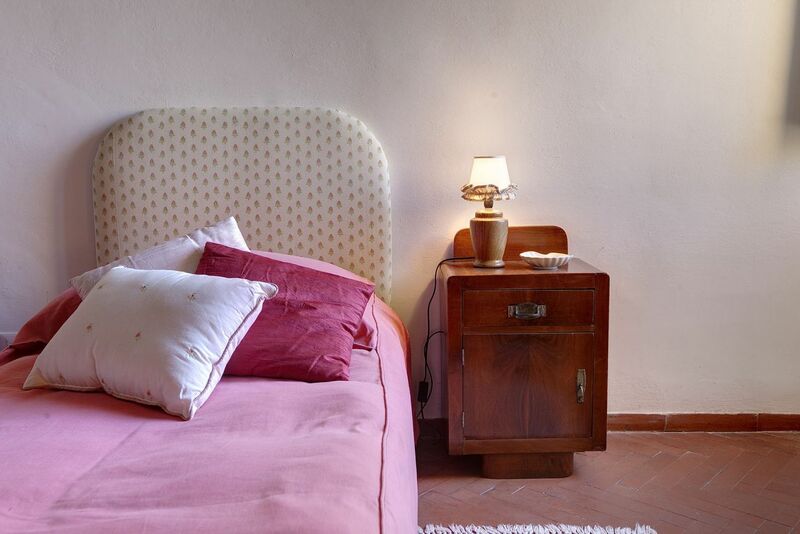 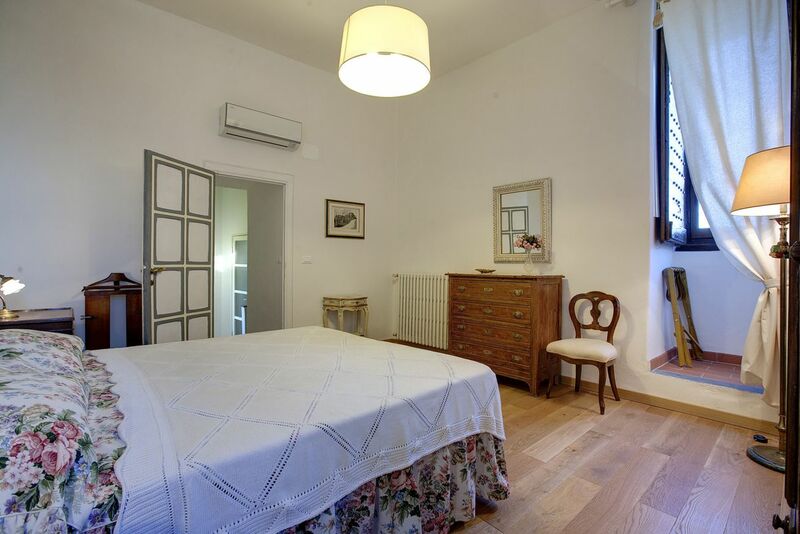 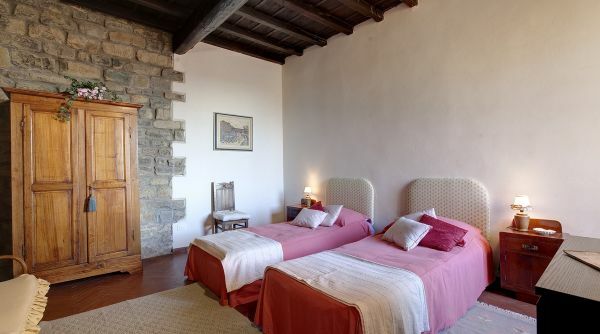 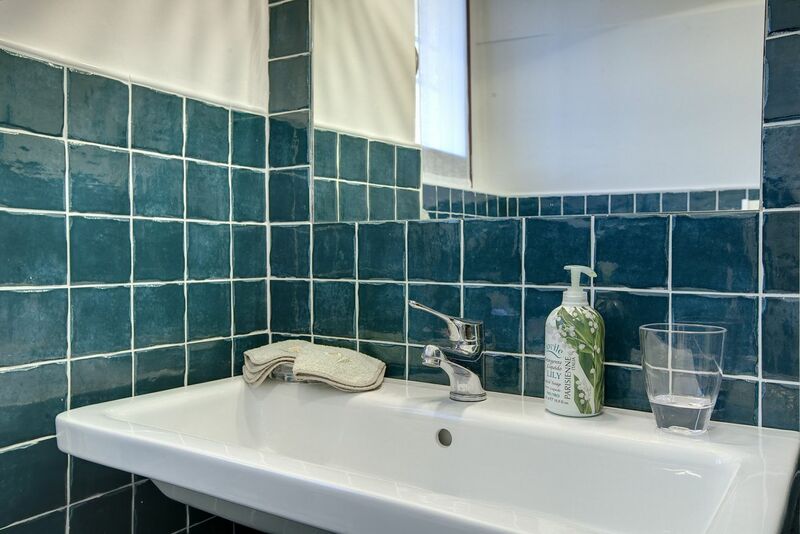 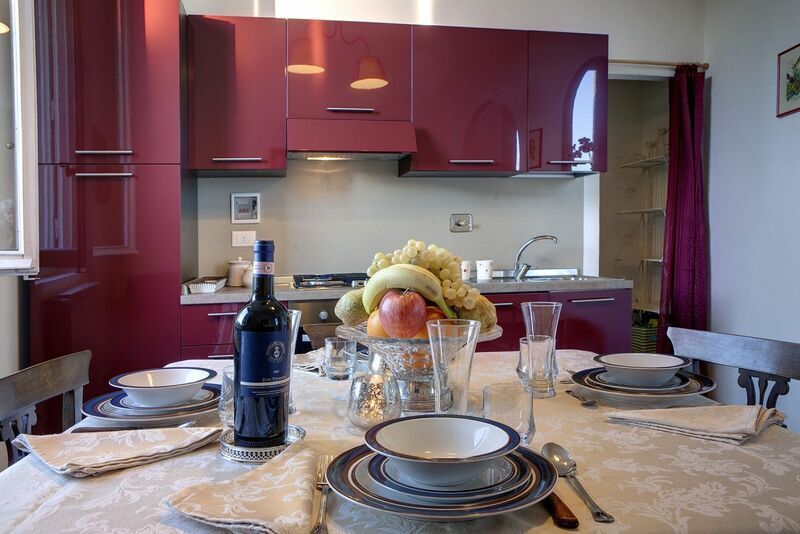 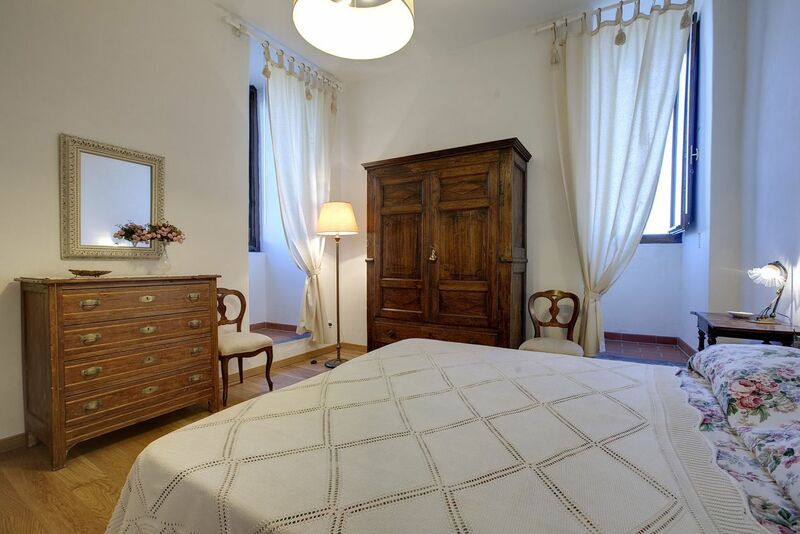 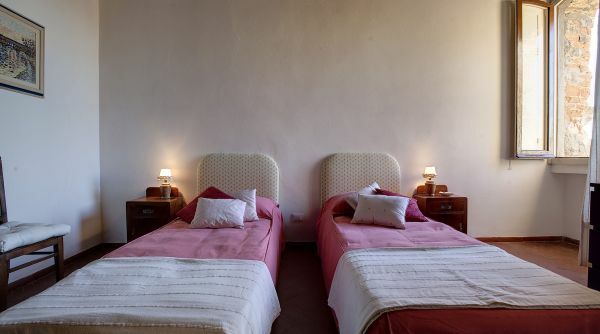 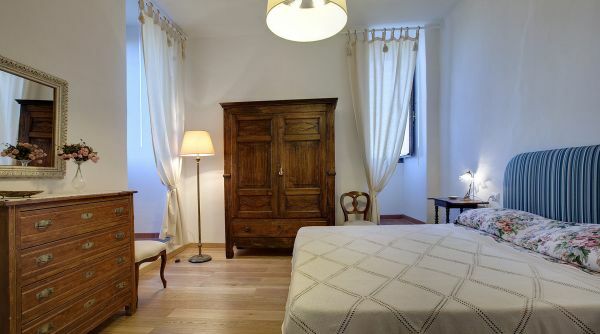 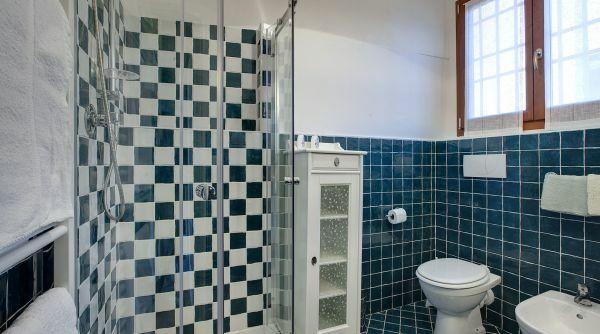 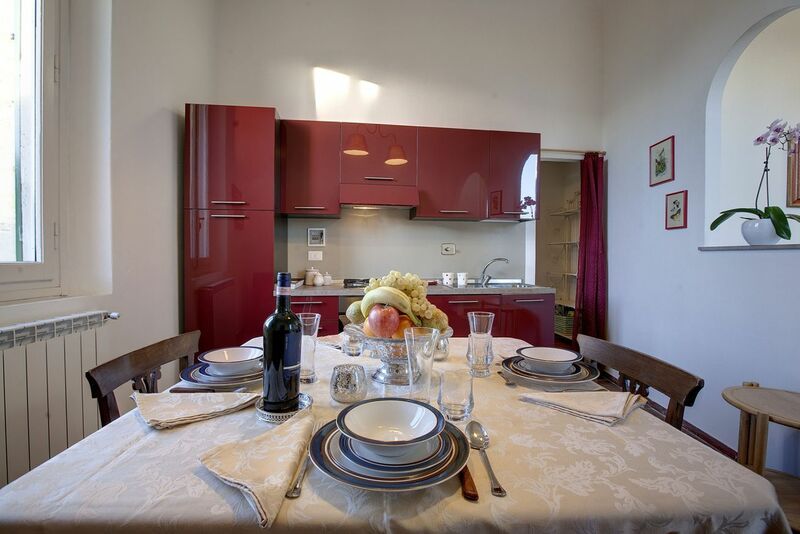 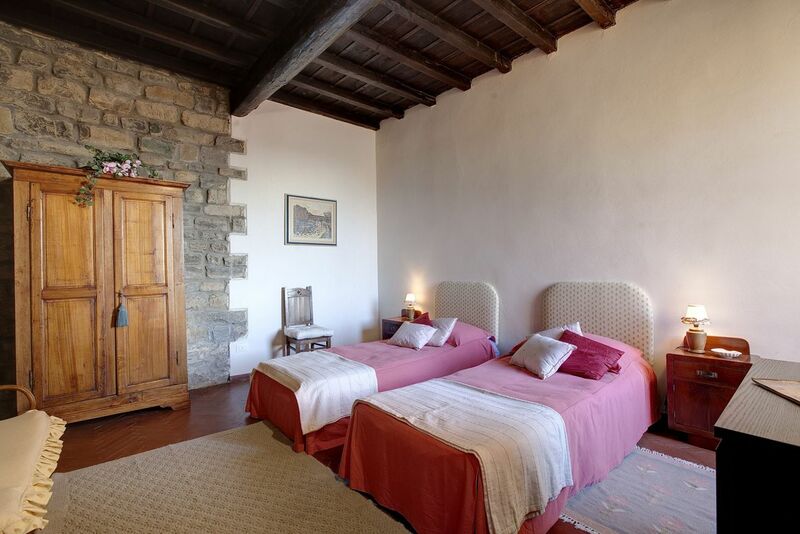 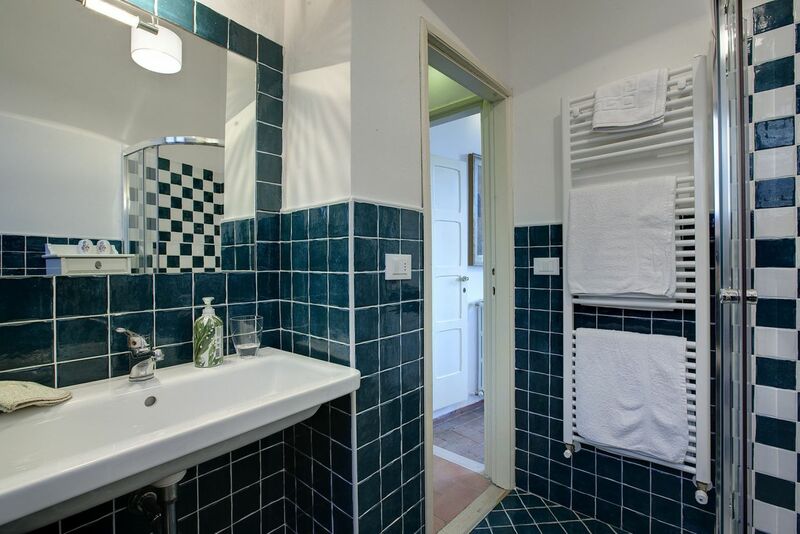 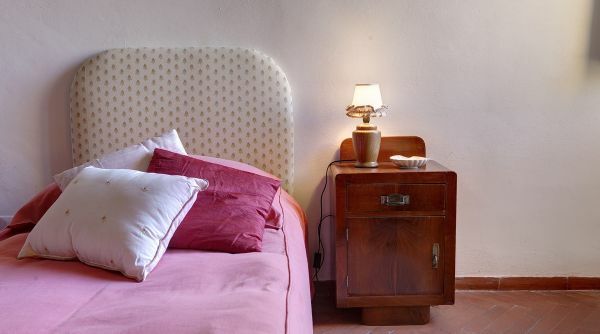 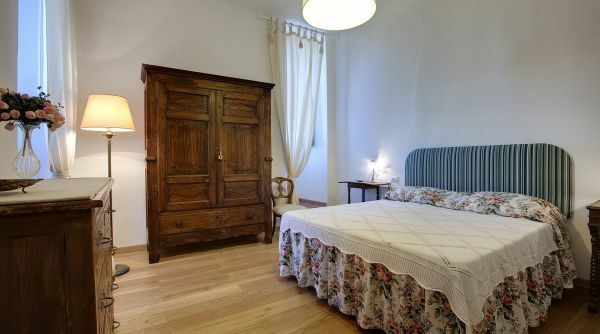 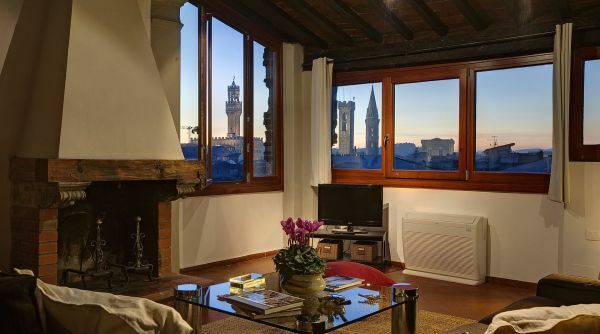 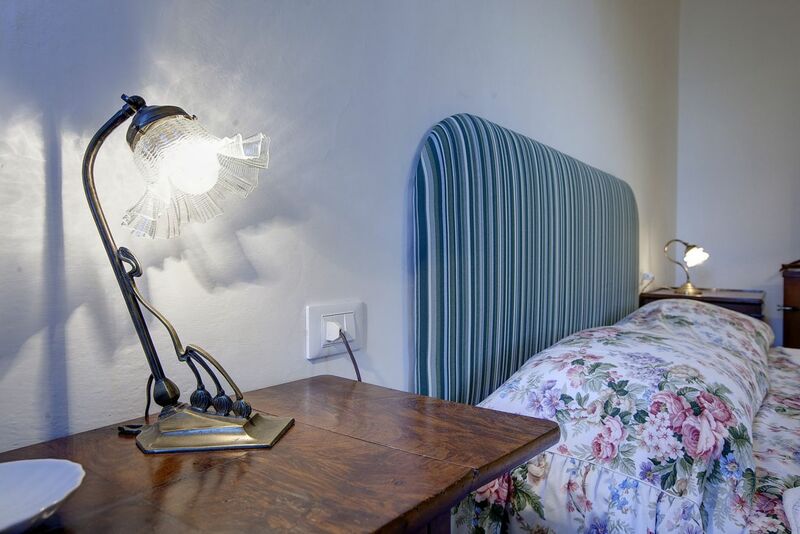 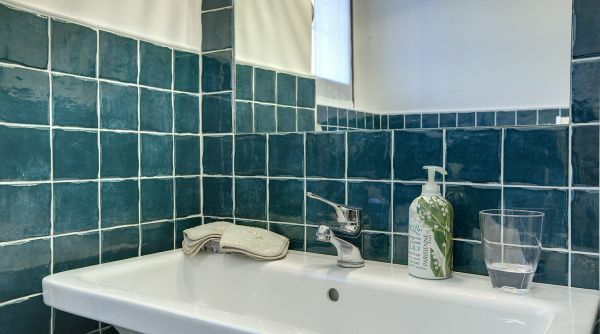 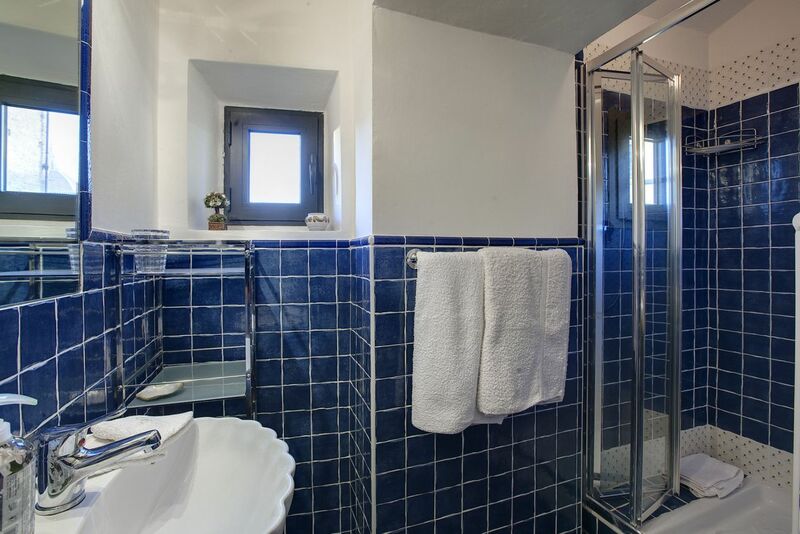 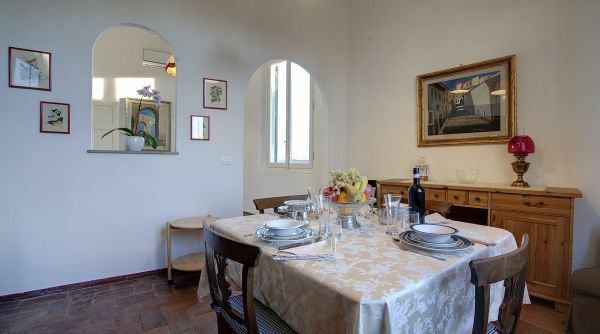 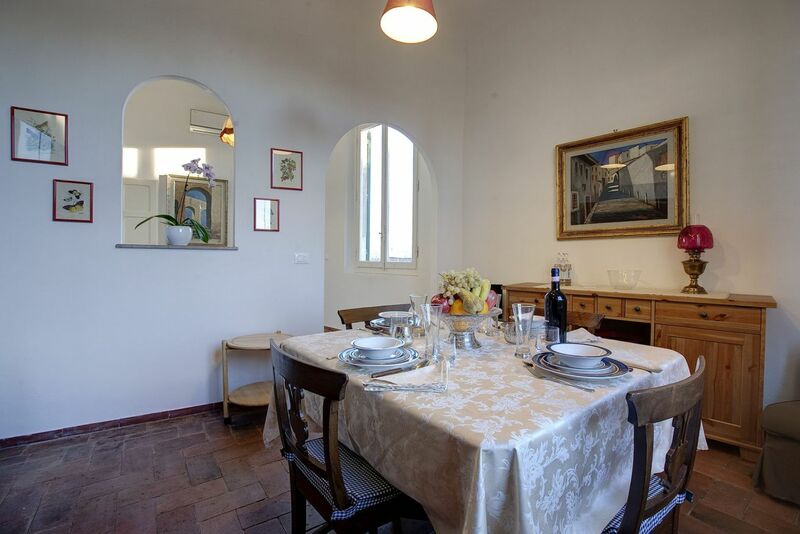 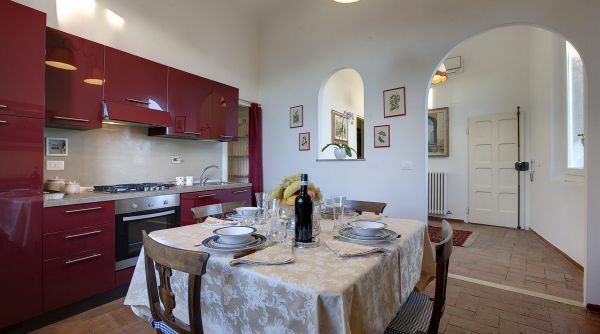 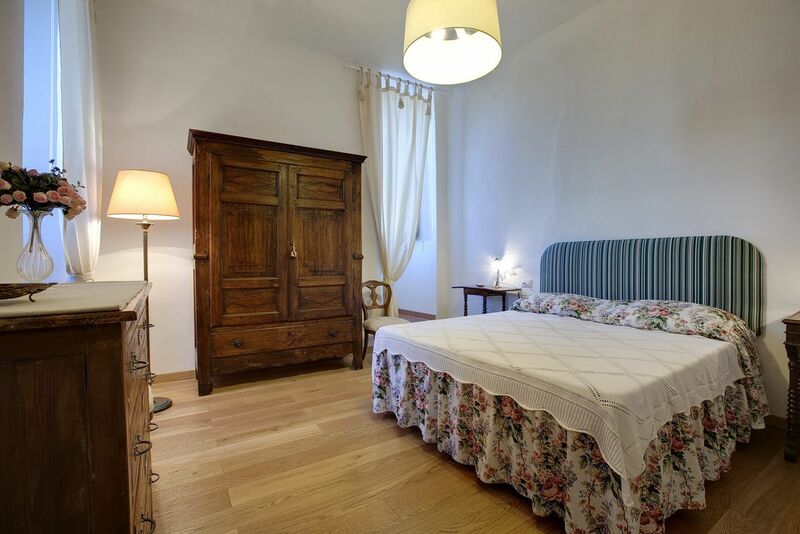 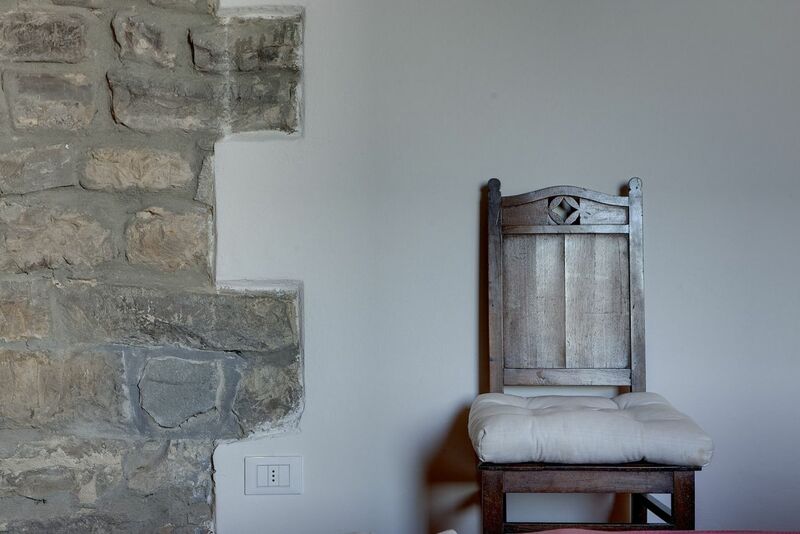 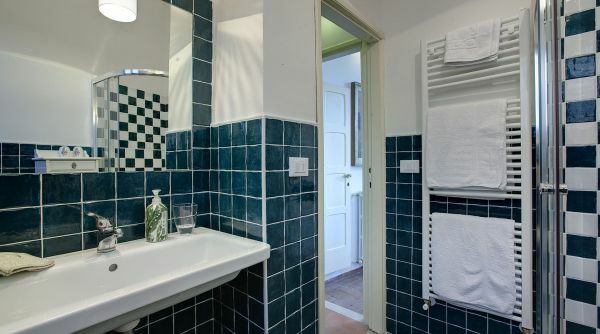 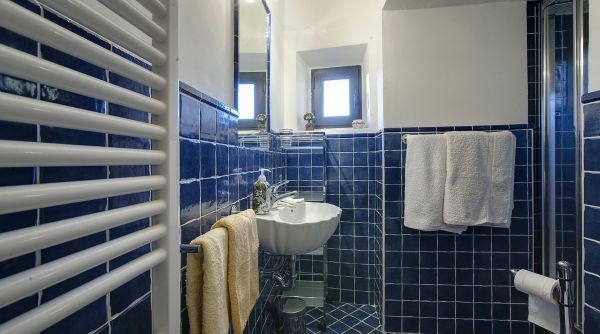 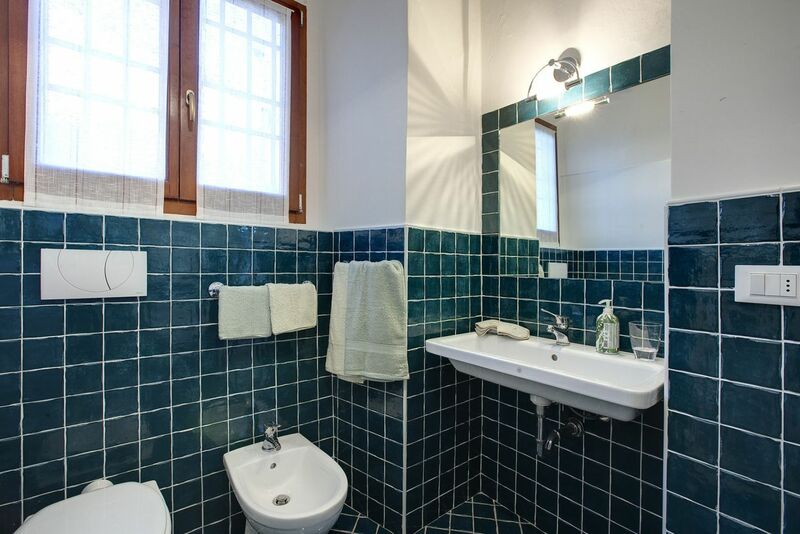 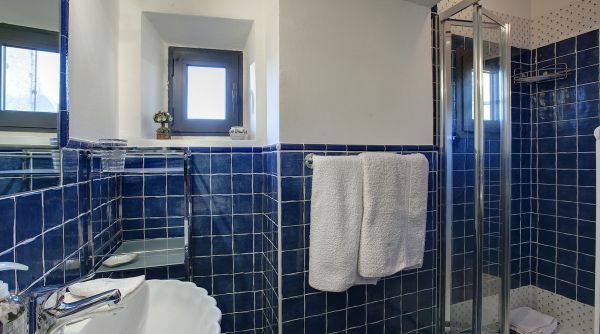 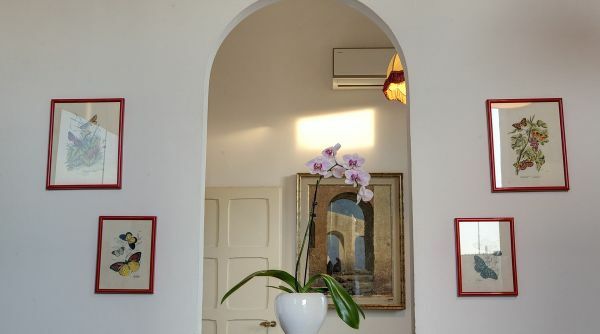 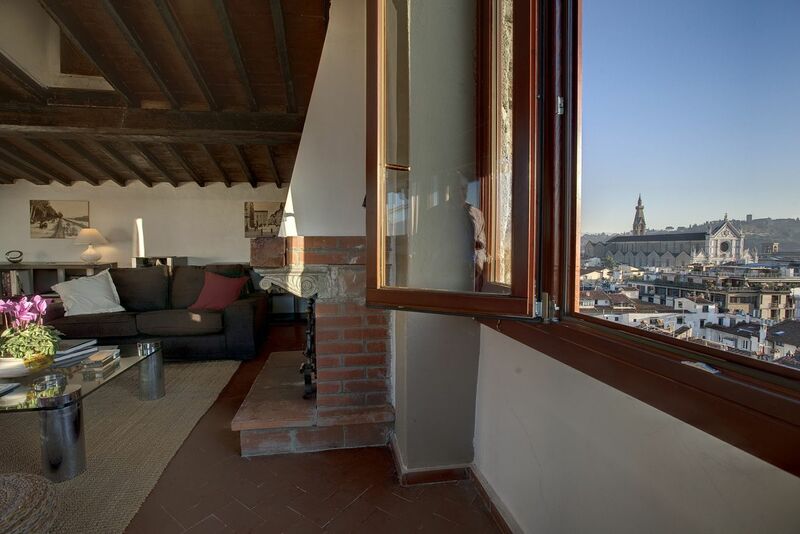 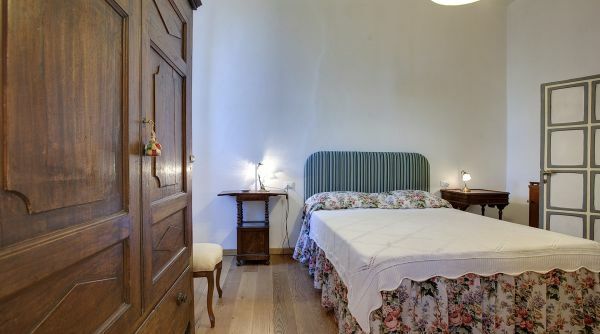 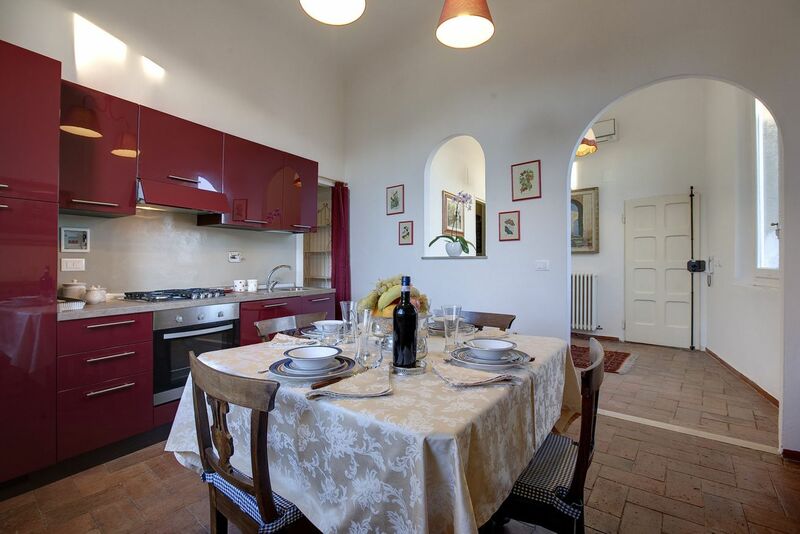 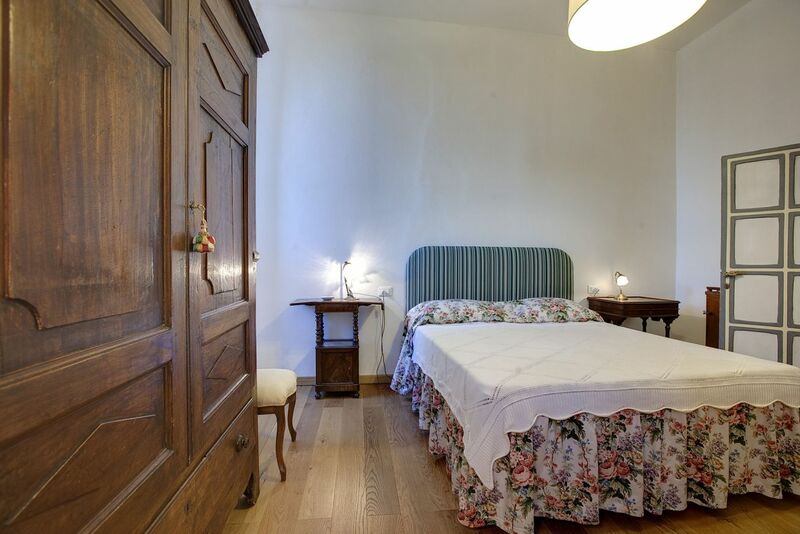 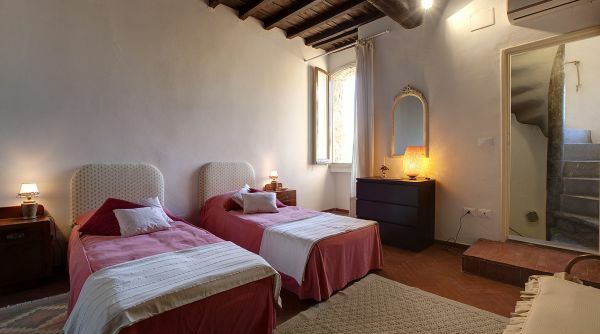 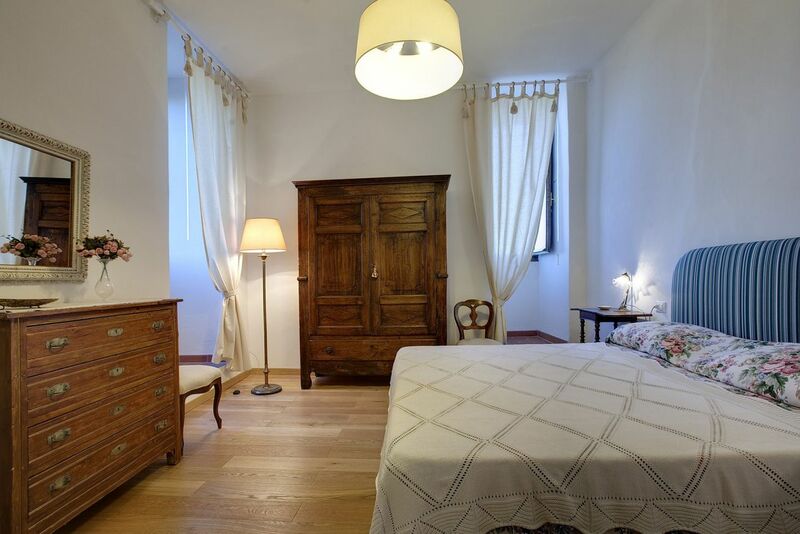 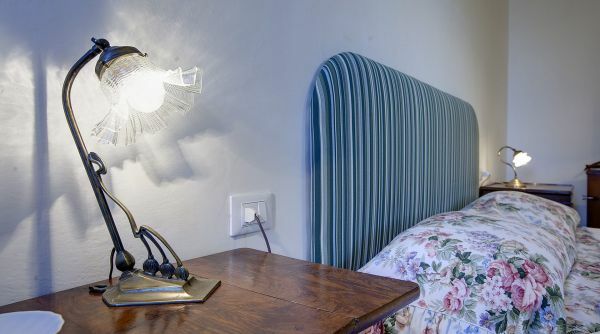 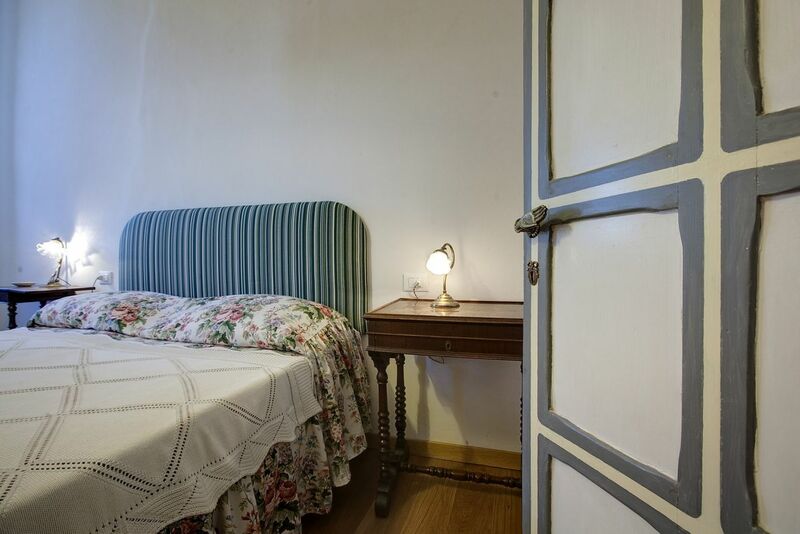 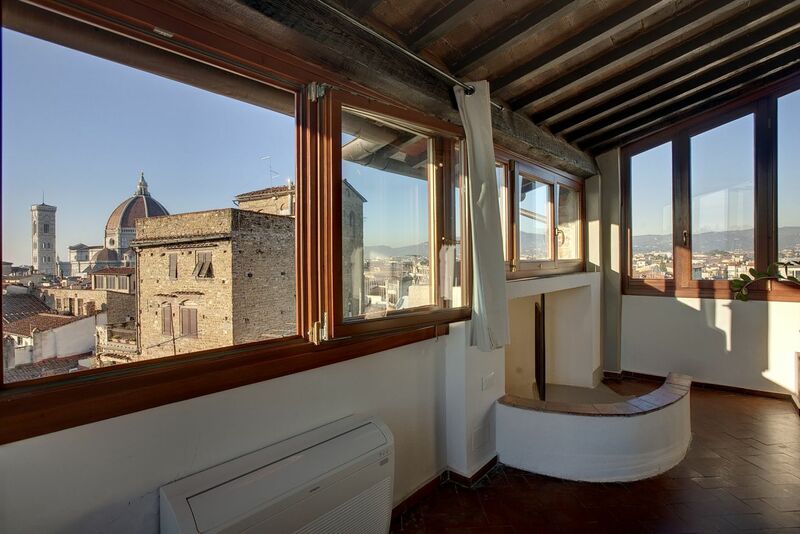 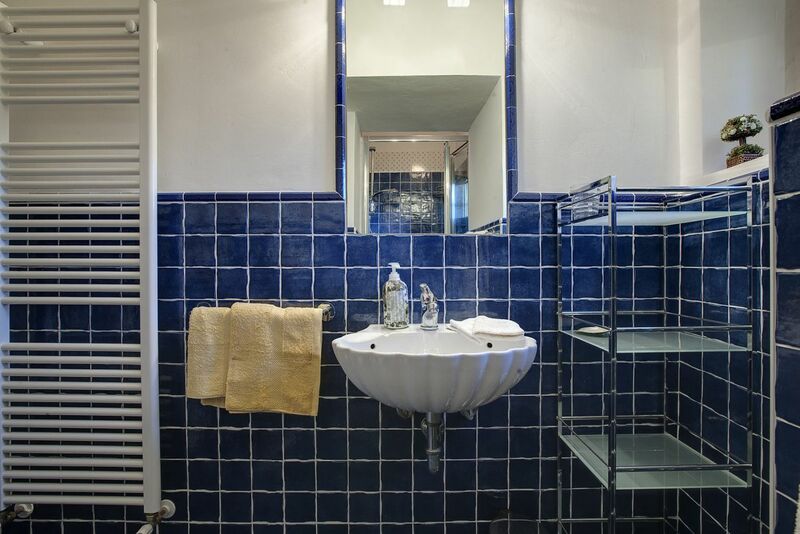 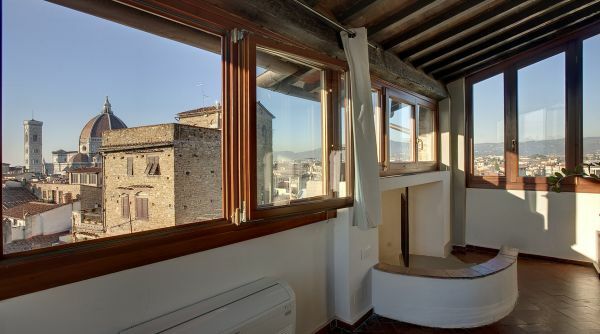 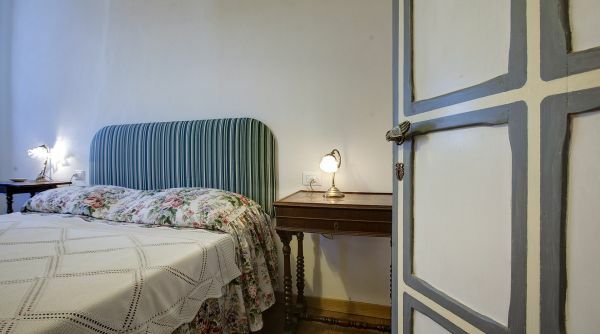 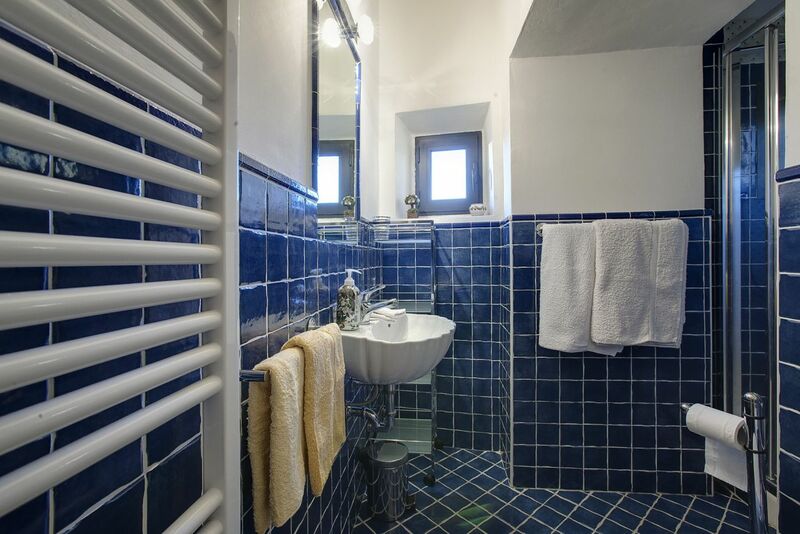 Torre Donati is the perfect place for the more decerning traveller: a fantastic apartment in a medieval tower in the heart of the historical city center. 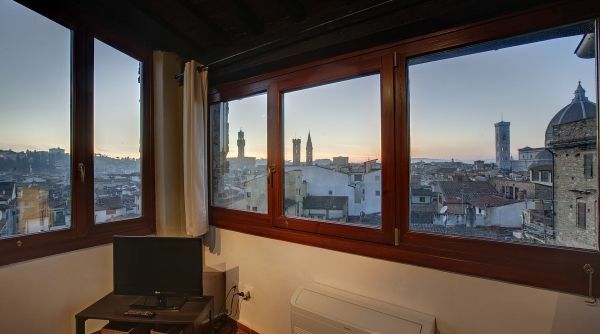 Located in the neighborhood of Santa Croce and just short distance to all the main points of interest of the town: less than 10 minutes by foot are enough to reach the Duomo, Ponte Vecchio, the Uffizi Gallery and any many of the city's other major museums and monuments.